At first I had trouble seeing the canvasbacks among the mallards. That was partially because they were sleeping, but also because they were not as large as I expected. 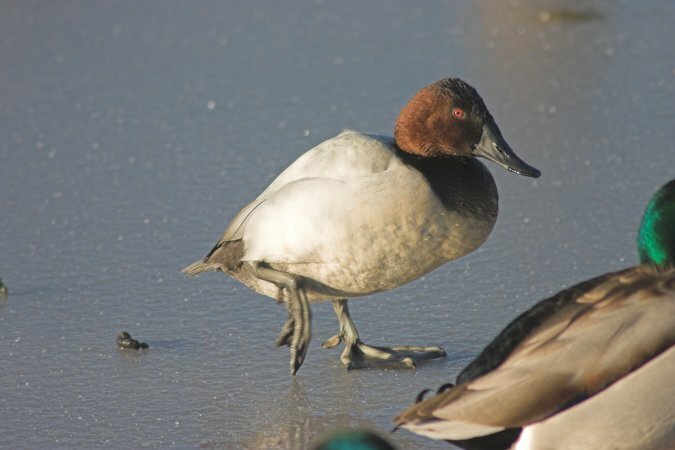 The canvasback I photographed last fall seemed quite large. What I did not realize at the time was how much smaller scaups and ring-necked ducks are than mallards.